Cohiba Medio Siglo is the perfect blend between a small size and a robust smoke. 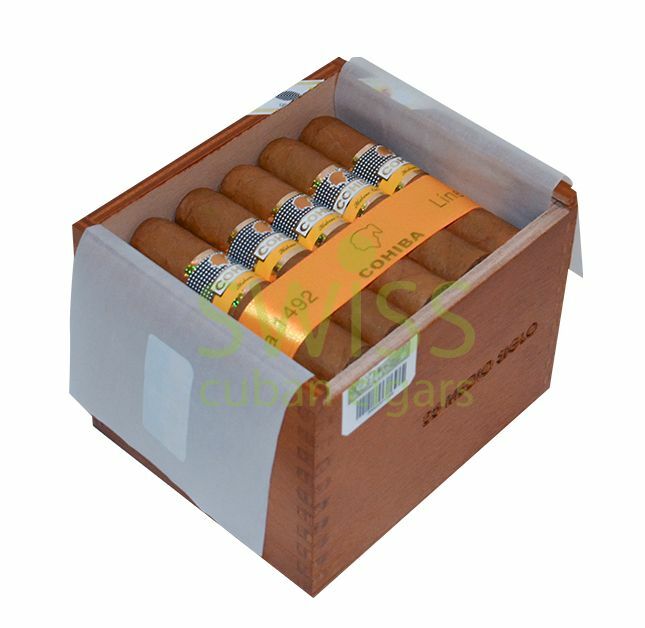 The cigars shipped in a 25 pieces box that has delicate decorations. The luxurious surface has a smooth finish and a fine shade that makes these cigars a true masterpiece of design. The pre-draw features the genuine Vuelta Abajo tobacco taste that will definitely leave your mouth watering. The flavors are spice, natural tobacco, and sweetness. These small delicacies are best tasted alongside a smooth scotch.